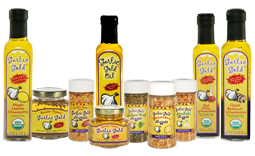 There’s no better way to kick off grilling season than with Garlic Gold®! 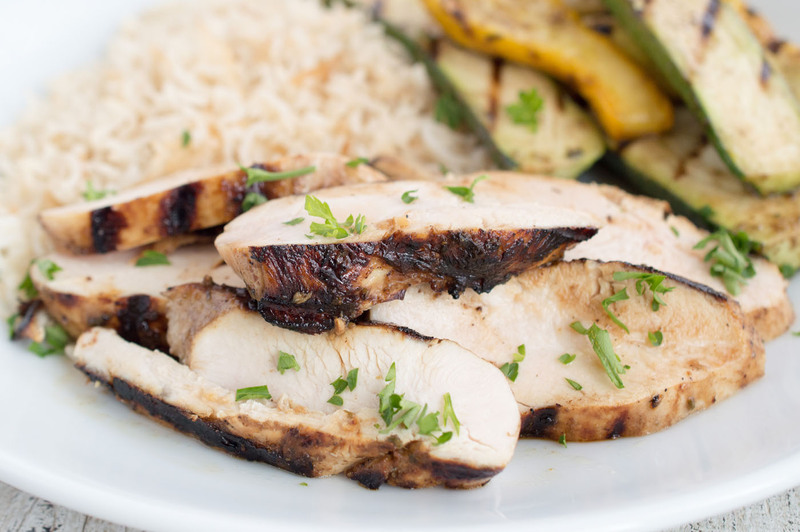 We’ve marinated chicken breasts in our Balsamic Vinaigrette, then grilled them until they’re tender and delicious. Serve these at a cookout, or for an easy weeknight dinner — they take just twenty minutes or so to cook. While you’re at it, grill up a pile of zucchini, eggplant, or your favorite grilling vegetables to serve alongside (and brush those with the vinaigrette, too). Enjoy, and have a great Memorial Day! Marinate the chicken breasts in the vinaigrette for at least two hours, or up to overnight. Prepare your grill, then cook the chicken for ten minutes a side. Allow the chicken to rest for at least ten minutes, then slice against the grain. Serve it with rice, grilled summer squash, or your favorite side dishes.